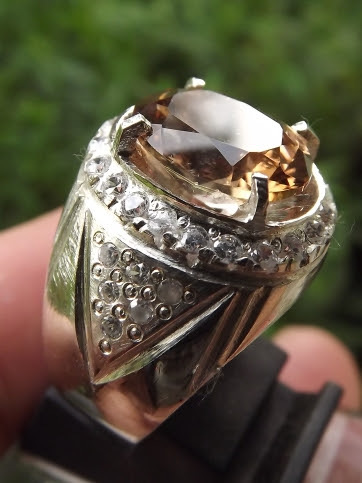 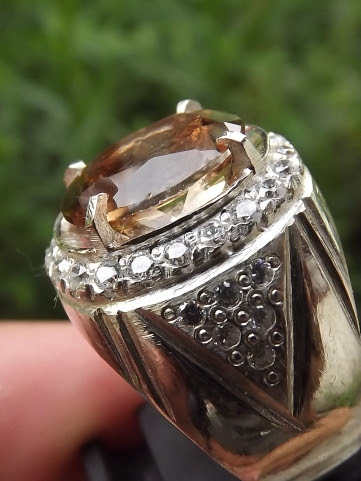 This is a beautiful natural lustrous Brown Topaz set on a 20mm silver ring. 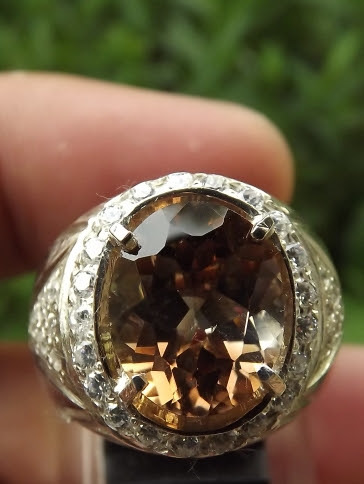 The color is brown, but is has color zoning on the middle. 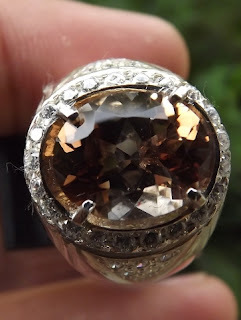 The size of the gems is (est) 12mm x 9,8mm x 3,5mm. 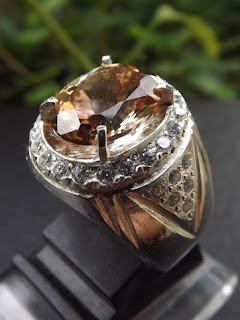 Get this beautiful gems now!! Natural Brown Topaz!